A dear friend introduced me to this cake a dozen years ago. It was her birthday cake for years. Her birthday is coming up in a few weeks. 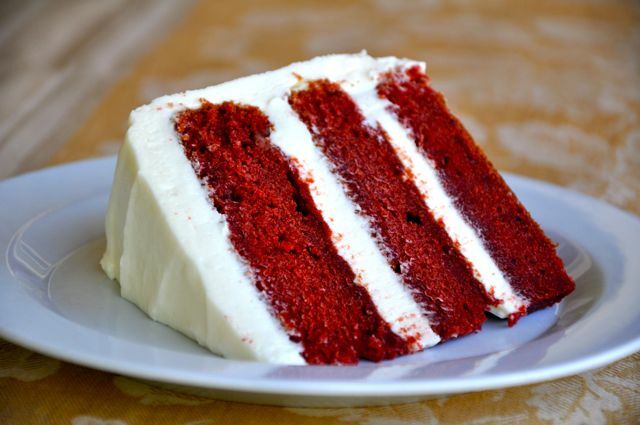 So I thought I would find a red velvet cake to share in honor of her birthday. Saute sausage, mushrooms, onion, and green bell pepper in a large skillet until onion is tender and beef is lightly browned. 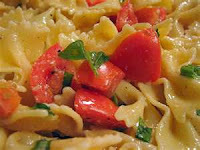 Drain off excess fat; add tomatoes, tomato sauce, basil, oregano, garlic powder, salt, and pepper. 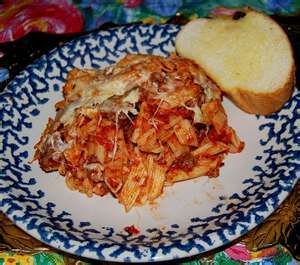 Stir well; stir in ziti and 1 cup of the cheese; transfer to a 2 1/2-quart casserole. Top with the remaining cup of cheese. Bake at 350° for 25 to 30 minutes, or until hot and bubbly. Slice the bannana in 1/4 in slices and layer in the bottom of the pie shell. Mix the pudding and the milk with an electric mixer unil smooth and a little stiff. Stir in the chocolate, m&m's, peanuts, and raisins. Before serving, top with whipped topping. 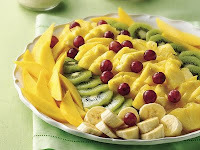 This recepie is easy and pretty Serve as romantic dinner for two, or take to work, and wow the co-workers. 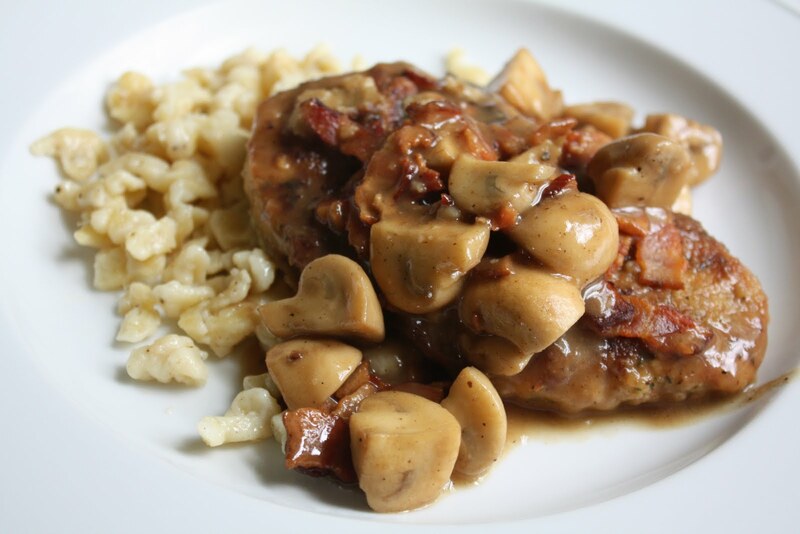 2 4-oz chicken breast cutlets. Mix flour, salt, pepper and Italian seasoning together. Dredge the chicken cutlets. Fry the cutlets in the butter, 5 minutes on each side. set a side, and keep warm. Zest the lemon then squeeze tout the juice. Cut the tomatoes in half, cut the basil in small strips if not already. in a small sauce pan add the sour cream, corn, tomatoes stock, lemon juice and pine nuts. As soon as the cream starts to simmer, add the cheese and the pasta. Serve with the chicken. Garnish with the basil and lemon zest. Take this to your next party, and watch it disappear. 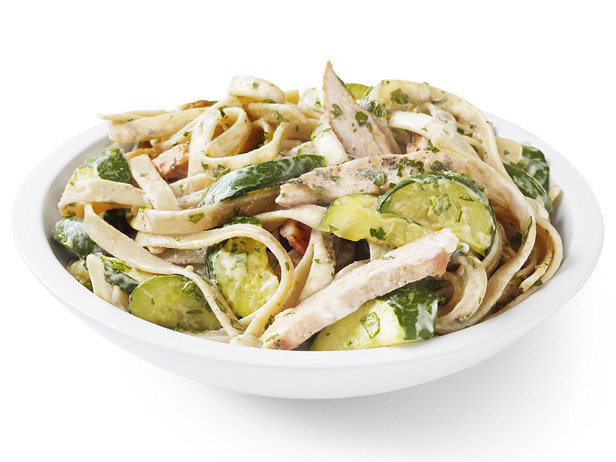 By the way, this recipe make 6 servings with only has 1 carb per serving. 1. In a medium bowl, mix mayonnaise, sour cream, seasoning and lemon juice until smooth. 2. Add crab, green onions and pepper; stir until ingredients are well combined. 3. Season to taste with salt and pepper. Serve with vegetables for dipping. 1.Combine spinach with feta, avocado and olives. 2.Toss with low-carb dressing of your choice and season to taste with salt and freshly ground black pepper. The mint julep has been a southern staple for years. One thinks of hot summer days with ladies sitting on wide porches fanning themselves talking about the latest gossip or politics of the day. This is the low carb version from Atkins. 1.In the bottom of a medium glass, combine sugar substitute to taste, mint leaves and 1 teaspoon water. 2.Crush the mint lightly with the handle of a wooden spoon. Fill glass with crushed ice. 3.When frost forms on the glass, slowly pour in bourbon. Garnish with mint sprig. This week I think I will share some more low carb treats. These are quick and easy recipes everyone will like. Cut chicken breast in half lengthwise, then slice crossways into thin slices. In a large nonstick skillet, over medium heat, cook the chicken and scallion in the oil for about 3-4 minutes until chicken is no longer pink. Add remaining ingredients and cook until egg is firm. Meanwhile, place the mushroom caps, ribbed side up, on a foil lined baking sheet. Sprinkle with salt , pepper, herbs, and broil for about 7 minutes until beginning to soften, turning once. Remove from oven and spoon mixture into the mushroom caps, top with cheese and broil for 1 minute to melt cheese. Serve immediately. (20 oz.) pkg. frozen cauliflower, broccoli and carrots. Combine veggies soup and cheese in a 8 x 8 inch oiled baking dish. Well It's about that time. I'm planning a road trip next week. Reminds me of road trips when I was a kid. Often, I would walk in the house on the last day of the school year, and Mom would be putting stuff in the car. She'd tell me to pack a bag, and with in an hour we'd be at the grocery store buying deli ham, Longhorn cheddar cheese, diet Coke and ice. This would all put put into a small Styrofoam cooler behind the driver's seat. In the car, would be a selection of cassettes. Music ranging from folk, country, and pop. A fill up at the gas station, a quick read o the map, and we were off. The old Toyota didn't have air conditioning, so we'd put bandannas in the ice and then wrap them around our necks. There we were out on the road, singing to the radio, eating ham and cheese, drinking diet Coke, and having the best time. A day or two later, we'd be at the Grandparents, where we were often given a cold dry meat loaf sandwich. 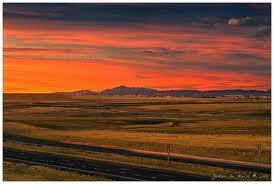 We'd cross the border of Kansas into Oklahoma just around sun rise. the light would be start to shift, then the sky would slowly turn purple, then lighter and lighter. If there were any clouds around they would start to take on an orange then pinking hue. When the sun finally rose it would be a big red ball on the horizon. then slowly turn brighter and brighter. I remember a feeling of true peace watching this. Well this year will be a little different. We're a bit older; we're not driving 1100 miles in less than 24 hours. Sure, we'll still play music, sing off key. have a ham sandwich or two, but i lot can be said for a comfortable car, and air conditioning. Today what is good car food? Take a whole wheat tortilla, spread 2 tablespoons of Nutella, add a peeled banana, roll up. wrap in plastic wrap. another yummy treat: frozen grapes. lay out grapes in a single layer on a cookie sheet of plate. place in the freezer for 1 hour. for the cooler put them in a zip lock back. keep in the ice. Cut up a package of pita bread into small triangles, put them on a baking sheet in one layer. leave them in a 250 degree oven for 10 minutes. when the chips cool put them in a zip lock bag. Add a small amount (1-2 tablespoons) of olive oil in the well. Garnish with paprika (optional). place in an air tight container, keep cold in the ice. until ready to eat. Ham and cheese roll ups. 1 ounce of longhorn cheese. I was actually looking for a cake recipe with these ingredient, but... who doesn't love cookies. The fruit is great. it adds a different texture and kind of a brightness, but i think that is the lime zest. If you can't find the dried fruit by itself, you can substitute tropical trail mix. just pick out the nuts and other stuff. 1.Heat oven to 375°F. Have baking sheet(s) ready. 2.Beat butter, sugars and vanilla in a large bowl with mixer on medium speed 1 to 2 minutes until fluffy. Beat in eggs, baking soda and salt until combined. Add flour and beat on low speed until blended. Stir in coarsely chopped white baking chocolate, coarsely chopped macadamia nuts, chopped dried mango, dried pineapple and grated lime zest. 3.Drop rounded tablespoons dough about 1 1⁄2 in. apart on ungreased baking sheet(s). 4.Bake 8 to 9 minutes until edges are golden brown. Cool on sheet 1 to 2 minutes before removing to a wire rack to cool completely. It was like an old world family restaurant. The couple that ran it were from Germany. and our favorite server was an adorable French woman, who didn't really speak English well, but she tried. 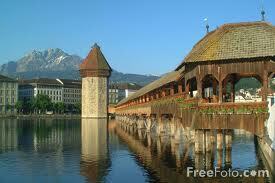 alas the restaurant is no longer there, but what nice memories. What is it? Speatzle is a tiny little dumpling, and schnitzel is veal or pork pounded thin and then lightly floured and fried, like a scallopini only German Switzerland and Austria it is called schnitzel. Sometimes it is served by itself with a lemon wedge. 1 cup wild mushrooms of your choice, sliced thinly, like morels. In a saucepan over medium-high heat saute sliced mushrooms and minced garlic in 1 tablespoon olive oil and butter until liquid evaporates. Increase heat to high, add dry vermouth and chicken broth, reduce liquid to 3 tablespoons; add the cream. Continue cooking until large bubbles appear and the sauce coats the back of a spoon. Remove from heat, add thyme and sage. Set aside. Cut meat into 8 servings. Season with salt and pepper, dredge in a small amount of flour; shake off excess. In a large skillet over high heat in 2 tablespoons olive oil and 2 tablespoons unsalted butter saute meat very quickly for 1 minute each side. Add any juices from the pan to the mushrooms, spoon onto individual plates, add the sauteed meat on top and serve with zucchini or asparagus. Well, so it's more picnic food. Labor Day is coming. If you do picnics or cook-outs, or any type of get together, this is a wonderful side dish. It goes with anything from hamburgers to grilled chicken. For probably 50 or so years now my Grandmother's brothers and sisters would have a reunion on Labor Day. Everybody would bring something. Believe me those women could cook. So everything was so good. You couldn't help but over eat. Grandma always brought a big dish of baked beans, and then went home with an empty dish. This is my version. It's a two day process, but worth it. Enjoy. 1 Soak navy beans in a bowl in water overnight to soften. Drain the beans in a colander and transfer them to a large crock pot. 2 Cover the beans with 4 cups of water.Rinse the ham hock and trim excess fat. Add to the crock with the beans. Let the beans cook on low for 6 to 8 hours, or until tender and the meat has fallen off the bone. Drain in a colander and set aside. Save the liquid and the meat. 3 Fry three strips of thick-cut, diced bacon in a skillet until it is crispy. Add the chopped white onion and saute it in the bacon fat until it is translucent. Set aside. Mean while, pick any lean meat from the bone, chop and set aside. Save any left over broth for another use. 4 Mix together brown sugar, ketchup, molasses, mustard, sauce and salt and black pepper to taste in a small saucepan. Bring the sauce to a boil over medium-high heat, stirring frequently. Remove the sauce from the heat. Preheat your oven to 375 F.
5 Transfer the beans to a 2-qt. casserole dish. Add the bacon, bits of ham and onions. Pour in the sauce and stir all of the ingredients until they're well-blended. Place six raw bacon strips across the top of the beans. Cover the dish with a piece of aluminum foil for half of the baking process. 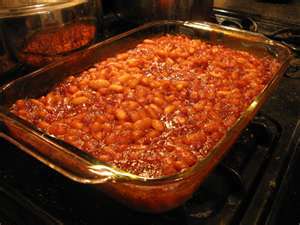 6 Bake the beans for one hour, or until they are tender, the sauce is bubbly and the bacon topping is crispy. On serving platter, arrange fruit in decorative pattern; sprinkle with coconut. Drizzle dressing over salad. More treats from Weight Watchers. 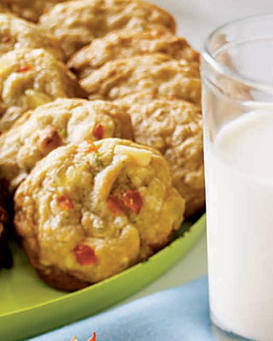 This is from the Weight Watchers new Complete Cookbook. 2011. 1. 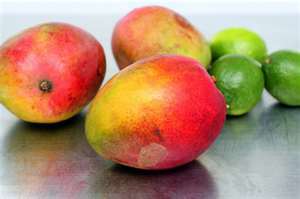 Combine mangoes ricotta, sugar, and lime zest and juice in food processor or blender to puree. 3 Bring milk to boil in small saucepan. add to mango mixture and puree. Pour mousse into four 8 ounce ramekin's, dividing evenly. cover with plastic wrap. freeze until set, at least 2 hours or up to overnight. Labels: limes, mango, milk pudding, ricotta cheese, sugar, zest. In a small bowl, dissolve the yeast and sugar in 3⁄4 cup warm water. Place the flour in the bowl of a food mixer fitted with a dough hook, add the yeast mixture, and mix on low speed for 1 to 2 minutes. Add a pinch of salt and the canola oil, and continue mixing on low speed until a nice, supple dough forms, about 3 to 5 minutes. If the dough looks too wet, sprinkle in 1 more teaspoon of flour, and continue mixing. Cover the bowl with a damp towel, and allow to rise on the countertop until it has doubled in size, approximately 2 hours. In a medium bowl, toss together the cherries, sugar, vanilla seeds, lemon zest, and white pepper. Make a double-layer tinfoil pouch, and place the cherry mixture inside, folding over the edges to form a seal. Set the pouch on a grill over medium heat, and cook for 5 to 7 minutes, until the cherries are soft. 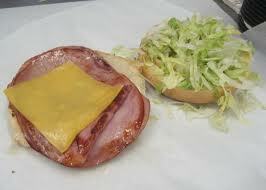 See, even with Weight Watchers you can have hambergers. I'll take mine with lettuce and tomato pleease. 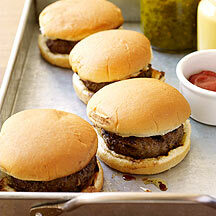 Coat a large griddle, outdoor grill rack or stovetop grill pan with cooking spray and preheat to medium-high. Place burgers on hot griddle or grill and cook 5 minutes per side for medium (or longer to desired degree of doneness). While it's still hot out there, here is another wonderful dish that won't heat up the house. 1. In a small bowl, soak bread with tomato juice until softened, about 5 minutes. 2. Place bread and juice in blender with the roughly chopped vegetables, olive oil, vinegar, lime juice, garlic and jalapeno. Blend until very smooth, about 3 minutes. Transfer to a large bowl and stir in remaining vegetables. 3. Season to taste with salt and pepper and chill for 1½ hours before serving. More Salads. how about a traditional Cesar Salad. Green crisp, tangy. creamy. Why don't we dive in. 1. To make the dressing: in a small bowl, whisk mayonnaise, anchovy paste, lemon juice, oil, Worcestershire sauce, garlic, mustard, salt, pepper and Tabasco until smooth. Stir in 3 tablespoons of the cheese. 2. Toss lettuce with dressing until evenly coated. Divide on plates; top with remaining cheese and 2 anchovies per plate (optional). Sprinkle each salad with a few croutons. 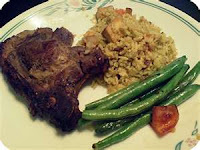 Quick Orange Pork Chops with Green Beans. These citrus pork chops with a twist. Easy to do, and so good. 1 Table spoon Worcestershire sauce. 1 pound clean stringed green beans. In a small sauce pan add the honey, lemon, a pinch of salt, paprika, Worcestershire and balsamic vinegar. slowly bring to a simmer. Peel and chop the orange into small pieces, add to the honey mixture. Add 2 tablespoons of olive oil to a large frying pan. Bring to medium heat and add the pork chops. cook for 4 minutes. Turn over, add the onion bell pepper mushrooms and the honey orange sauce. Bring a pan of salted water up to a boil add the green beans. cook 5-7 minutes until tender. drain the water. return the beans to the pan and add a little butter. Strain half the mushroom onion mixture out the pork chop pan and add to the beans. Put the eggs in a pan of cold water, bring to a boil, take of heat, cover and let and let them sit for ten minutes. Take each egg out of the hot water with a slotted spoon, and run cold water over it. When cool enough, peal the egg. A trick is to roll it on the counter, putting just enough pressure on it until you hear a cracking. Do the same with the other. Chop the eggs, put them in a small bowl and refrigerated. Peal the potatoes and put in a pot of boil water. Boil until tender. Drain the water, let cool. Get a large bowl. Put the potatoes in it. Cut them up in the bowl. The pieces don’t have to be uniform. Add the chopped egg, the pickles, onion celery, and a little pepper and salt to taste. In another bowl mix the mustard ranch dressing and mayo. Slowly add this mixture to the potatoes, mix as you go. When all the ingredients are well mixed, sprinkle top with paprika, cover and chill at least 2 hours before serving. I was thinking about summers on the Cape, Cape of Cod, that is. We had so much fun playing in the water, fishing, and sunning ourselves. Sometimes we'd invite friends. As evening approached, there would be a clam bake. What fun... I have to admit that somewhere along the way, I lost my taste for sea food. Too much flounder I guess. I don't know, or maybe is it was "that day" The day Mom told me it was time to take a bath, and the tub was full of freshly caught flounder... ugh. I screamed; she laughed, that was that, no more fish for me. There's one thing that goes with summer as much as grilling burgers, and that’s a clambake. The tradition of the clambake goes back to the Native Americans who taught the new comers the art of steaming clams, corn, potatoes and other things in a hole in the ground. This ancient form of cooking has grown in popularity and is an event for celebration all over the world. You will also need enough seaweed or rock weed to cover the fire pit and plenty of cheesecloth. Wire baskets are also helpful to hold everything together, but not necessary. Wrap individual servings of the above ingredients in cheesecloth, tying the corners together and place in baskets if you have them. Once the rocks are hot enough to spit a drop of water back at you, rake off the coals from the fire and cover the rocks with seaweed. Place the food packets on the on the seaweed and cover with more seaweed. It's then best to cover the whole project with a large tarpaulin. After about 2 hours everything should be done. Serve with melted butter, salt and pepper and ketchup. That's how you hold a traditional clambake. Of course there are regional differences, but you get the general idea. Of course most people don't live on a beach and don't necessarily want to dig a hole in the backyard. So how would you do this on, say, a charcoal grill? First of all cut way down on the seaweed. You will only need a small amount soaking in water. Second wrap the food packages in cheesecloth, then add a little seaweed and wrap tightly in aluminum foil. Place the packages on a hot grill and close the lid. In an hour you can eat. Of course you can add most anything to your clambake you want. The secret is that the seaweed steams the food, so it's important that you have something sitting with the food to provide moisture. If you don't have access to seaweed you can add about 1/4 cup of water to the food packages as long as they are sealed completely. If there isn't enough moisture then the food won't cook properly. Are wraps still popular? I like them. I usually use whole wheat tortillas. I like the nutty flavor, and I get a little more fiber. I like mine for breakfast. They are fast, and I can eat them anytime. Anyway, I thought I would share a few ideas. Spread the nutella on the tortilla, warm in the microwave for 15 to 20 seconds. This will soften the tortilla enough for rolling. Add the sliced banana roll up. Cook the sausage, scrambles the egg. Put the cheese on the tortilla, micro wave 45 seconds. Top with the rest of the ingredients and roll. There are times when you have a taste for something, like good Mexican food, you need to skip the chains, and head for the smaller, “Mom and Pop” type restaurants. Sometimes you might even find the best food in taverns and bars. This place had a bar on one side and a small restaurant on the other. Even though the look of the place was not something we’d expected, small, brightly painted, with a black ceiling with silver sparkles all over it, and not one word of English spoke in the bar. our meal was incredibly good. The chips were hand made and warm. And the salsa was just the right amount of spicy and tangy-sweet. For the main entre we had chicken and green chili burritos. All I can say is Oh, My God! 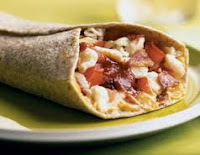 I had Mexican food before, and I spent some time in Colorado when I was little, that’s how a developed a taste for it. To start with the burrito was huge. The chicken was shredded and mixed with peppers and cheese, and smothered with a topping of cheese and sour cream. There have been other chicken enchiladas, and other burritos, but that was the best. This is my version, based on taste, it is very close. 1 can green chills, mild heat save the juice. ½ cup Monterey jack cheese shredded. Place chicken in a baking dish. Add the broth, 1Tablespoon of the onions and 1 tablespoon of the green peppers 1 tsp of the chopped chilies, and the juice from the green chili can. Cover with plastic and set in the refrigerator for 1 hour. To ensemble, scoop 3 tablespoons of beans and 2 oz of chicken on each tortilla. Add 3 oz of cheese and 1 tablespoon of sour cream, fold up. Add burritos to a clean baking; add the rest of the sour cream and the cheese. Bake 15 minutes or until cheese is melted and bubbly. Combine gravy, tomatoes, 3/4 cup water, thyme and pepper in large saucepan; bring to a boil. Stir in meatballs and vegetable mixture; reduce heat. Cook 10 to 15 minutes or until meatballs are heated through, stirring occasionally. Tell me am I a little off because I like to read cookbooks. At one point I had a whole kitchen cabinet devoted to cook books, diet books, and magazines related to food. Unfortunately, when I moved to Kansas, I had to cut down. I kept my favorites. I still surf the web looking for ideas. What am I looking for? Recipes that are inexpensive, but taste that way, anything chocolate, and twits on my favorite comfort foods, and dishes I’ve tried in restaurants that I think I can redo at home. They serve this cake; they called it “Italian Wedding Cake”. Well this cake is a white cake with a coconut frosting. The cake itself was moist and had a nutty flavor, without being overly crunchy. The frosting was light and sweet. It didn’t over power the cake like some can. I have been looking for this cake again. Years have gone by. The chain restaurant that I originally had the cake has yet to feature it again. Boo hiss. It just needs to be changed a little, and it will be that cake from all those years ago. I give you Italian Wedding Cake. combine soda, and milk. cream sugar, butter and shortening. Add egg yolks one at a time, beat well. Add milk and flour alternately. Stir sin vanilla . Beat egg whites until stiff: fold int mixture. Stir in nuts and coconut. Bake in three 9" round cake pans for 30 minutes. For the icing cream the cheese and butter and add the powdered sugar a little at a time.